The world of theology is the world of the living dead, and necessarily so. You see, our temptation (to which we so easily succumb) is to make theology all about me and my Bible. Now, theology is about one of those things (the latter, just in case you were wondering), and it does involve both of those things. But it doesn’t only involve me reflecting on Scripture. It also involves the living dead, whether I like it or not! The living dead won’t go away just because I pretend they don’t exist. But if I pretend they don’t exist, I’m perhaps more likely to be harmed than helped. If I pretend they don’t exist, I can’t distinguish between baddies and goodies (which is overly simplistic, I know, but hey, it works with the whole ‘living dead’ thing!). 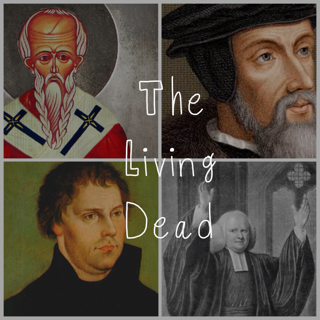 You see the influence of the living dead isn’t only powerful in theology, it’s powerful in the prevailing philosophies of our culture, and cultures foreign and past as well. The ghosts of Kant and Hegel haunt Western thought. And beyond them lie the ghosts of Plato and Aristotle. Is your mind the foundation for what you believe? Behold, Descartes lives. Must everything submit to your powers of reason? There’s zombie Kant. Do you think there’s a division between spiritual truths and cold hard reasonable facts? Hello Galileo! Think that people get saved by responding to an altar call? Then meet Mr Finney who died in 1875. Convinced that it’s contact with God or a decision for Christ that’s important, not so much the historical events? Let me introduce you to Rudolph Bultmann. Love Myers-Briggs tests? Then you need to meet Carl Jung. And if you think it’s common sense that some things are just common sense and other things absurd, you might want to meet Thomas Reid. My thoughts about the world are not mine alone. Whether I realise it or not, my thinking is influenced, and even shaped, by the living dead. The presence of the living dead is not a bad thing in itself. In fact, in principle, it’s a good thing. We aren’t supposed to shut ourselves off into our own private, interior world of thought. Thinking, and above all theological thinking, is a communal thing. 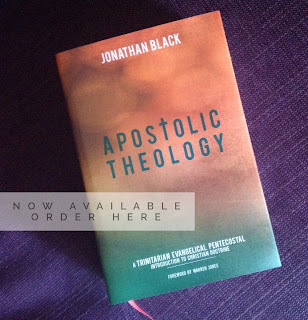 Theology is an ecclesial activity: it’s done within the Church. But when we say church here, we don’t mean one local assembly at one point in time, but rather the Body of Christ. In the creed, we confess belief in ‘the communion of saints’. That means we’re joined with those who have gone before us (just as those who will come after us will be joined with us) in fellowship through Christ in the Spirit. Ignatius, Irenaeus, Athanasius, Gregory of Nazianzus, Augustine of Hippo, Luther, Calvin, Cranmer, Owen, Edwards, Wesley, Whitefield, etc. aren’t simply men of bye-gone ages; they’re men to whom we’re joined in fellowship in the one body of Christ. So their influence isn’t just there in the cultural atmosphere like that of Aristotle and Hegel; their influence is something to which we should gladly expose ourselves, to learn from them, just as we willingly learn from those who are alive today. 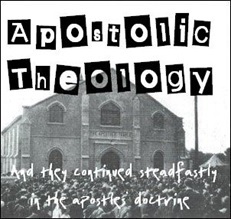 If theology is an ecclesial activity, then it’s an activity carried out in the communion of the saints. And that means, not only the living ones, but the dead ones too!